In this episode. 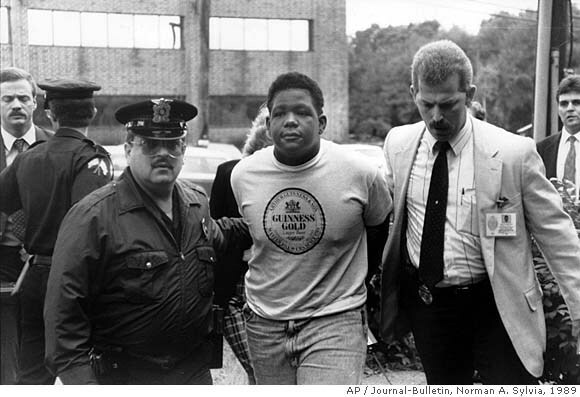 I share a story about a particularly lethal woman who's long criminal career saw her acquitted of a murder, sentenced to life for another and still released to continue her murderous ways. 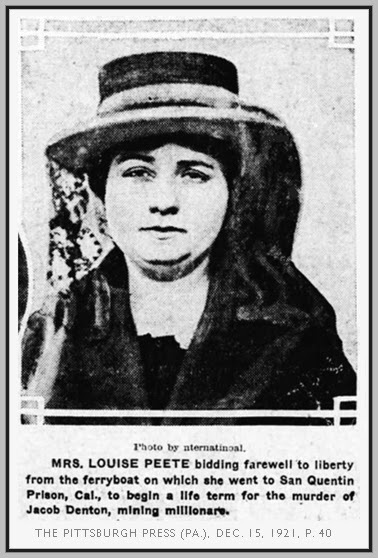 This is Part One of the case of Louise Peete. Photo: Louise Peete on her way to San Quentin to serve her sentence for murder. A man murders three innocent teens in 1966, is sentenced to death and later is released from prison to kill again. This is the case of Kenneth Allen McDuff aka "The Broomstick Killer". 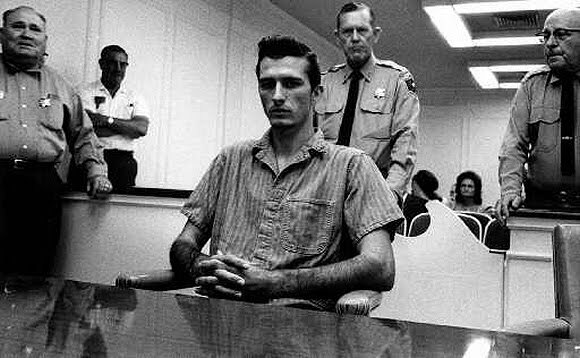 Photo: Kenneth Allen McDuff at his first trial in 1966 for the murder of three teenagers. Research for this episode came from several sources including: Articles: "Free to Kill" by Gary Carthwright, Texas Monthly, August 1992. "McDuff Likely to Take Grisly Secrets to Grave" by Mike Cochran for the Associated Press, published in the Lubbock-Avalanche Journal, 1996. CrimeCon: June 7 - 9, 2019 in New Orleans, Louisiana. www.crimecon.com - use promo code ONCE19 for 10% off a standard registration. Away Travel - www.awaytravel.com/once and use promo code ONCE at checkout for $20 off a suitcase. Daily Harvest - www.daily-harvest.com and enter promo code ONCE for three FREE Daily Harvest cups with your subscription. A rare form of serial killer are Black Widows - women who kill their spouses and other family members - usually for financial gain. Even more rare are Black Widow Sisters. 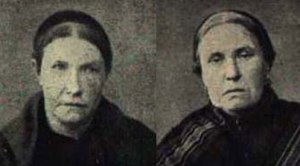 This week I'll share two stories of sisters who set up murder syndicates for profit. A woman is discovered to have murdered two of her husbands and hid their bodies in her yard. www.daily-harvest.com - Use promo code ONCE to get three free cups in your first box. Three generations of one family are murdered on Christmas Eve, 2007 in Carnation, Washington. Away Travel - www.awaytravel.com/ONCE - use promo code ONCE for $20 off a suitcase. Daily Harvest - www.daily-harvest.com - use promo code ONCE to get three cups FREE in your first box. Simple Contacts - www.simplecontacts.com/onceupon20 to get $20 off your first order. A young couple play a deadly game with perfect strangers on Memorial Day weekend, 2002 in Ocean City, Maryland. Swap.com - www.swap.com - use promo code ONCE to get 35% off your first order. A young couple conspire to kill a romantic rival in Texas in 1995. Thanks to listener Casey Graham for the suggestion of this case. This is the case of Diane Zamora and David Graham - The Texas Cadet Murder case. Swap.com - www.swap.com and use promo code ONCE for 35% off your first order. Policygenius - www.policygenius.com to get quotes and apply in minutes. The easiest way to buy life insurance. Holly and Tanager - www.hollyandtanager.com/once and use promo code ONCE at checkout to get 15% off your first order. This month I'm picking cases from listener suggestions as a "thank you" to my audience. First up is a case from Warwick, Rhode Island suggested by Mikala Fortin. When a series of brutal murders takes place in one neighborhood in 1989, investigators zero in on an unlikely suspect - a teenage boy who would be considered one of the country's youngest serial killers. Photo: Craig Price is taken into custody and charge with four murders in Rhode Island. Brooklinen - www.brooklinen.com and use promo code ONCE for $20 off your order plus FREE shipping. Holly and Tanager - www.hollyandtanager.com/ONCE and use promo code ONCE for 15% off your first order. Daily Harvest - www.daily-harvest.com and enter promo code ONCE to get three FREE cups in your first box. 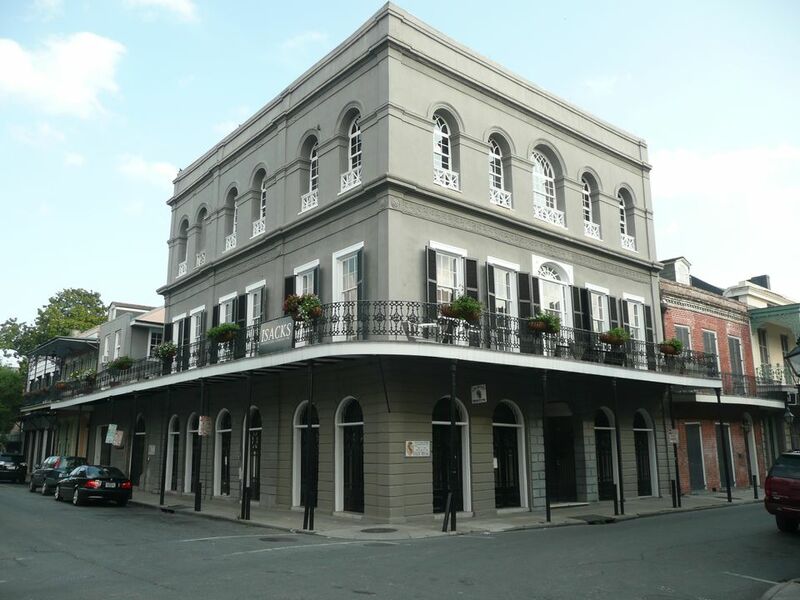 The last chapter of "Haunted Homicide" is the story of the LaLaurie Mansion known as "the most haunted house in America". In this episode you'll hear the TRUE story of Madame Delphine LaLaurie who is called "the socialite serial killer". Holly and Tanager - www.hollyandtanager.com/once and use offer code ONCE to get 15% off of your order. Kopari - www.koparibeauty.com/once to save $5 off your order with your subscription. Audible - www.audible.com/ONCE or text ONCE to 500500 to start your 30-day-trial and get your first audiobook FREE. Hostage - Look for Hostage on Apple Podcasts or where ever you get your podcasts or go to www.parcast.com/hostage to listen now. The Tower of London has a long history of torture, murder and royal intrigue. It has also been the scene of many ghostly sightings over its 950-year history. Travel with me to through the Tower to uncover some of its dark history. 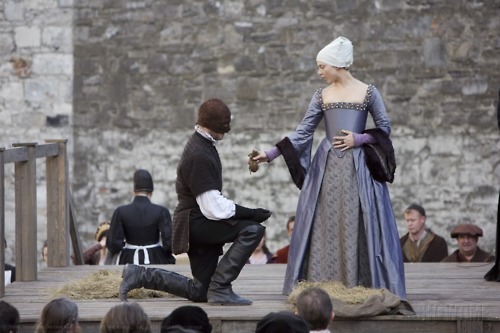 In a scene from the series "The Tudors" Anne Boleyn presents her executioner with a purse of coins as a "tip" before her beheading. Daily Harvest - www.Daily-Harvest.com - enter promo code ONCE to get 3 cups FREE with your first box. Le Mystere - www.LeMystere.com/gift - enter promo code ONCE for a free cosmetic bag with your order. Policy Genius - www.policygenius.com to compare and purchase life insurance at the lowest rates in 20 years. Warby Parker - www.warbyparker.com/ONCE to get your free home try-on kit. 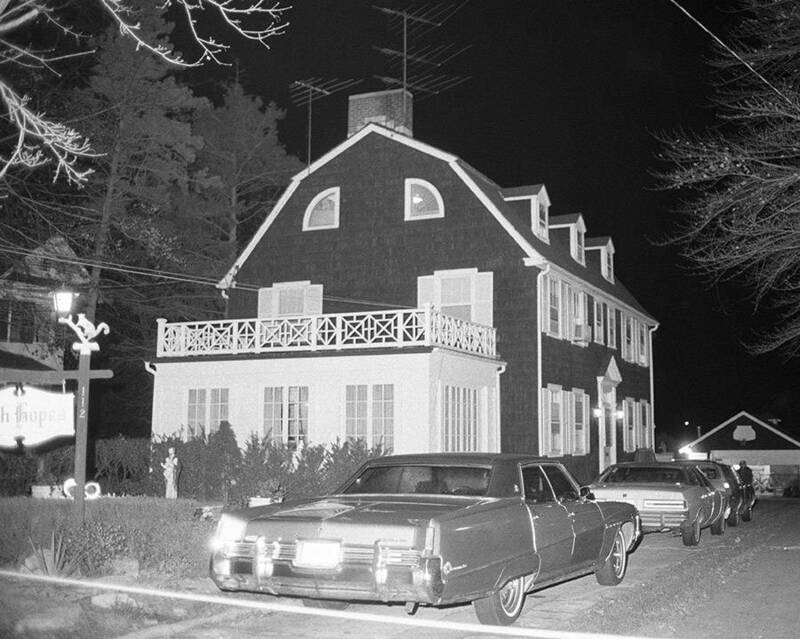 A serial killer uses his own home as his killing grounds. After his crimes are discovered his property, Fox Hollow Farm, will be considered one of the most haunted places in the midwestern United States. This is chapter one of the series, "Haunted Homicide". Fox Hollow Farm in Carmel, Indiana where serial killer Herb Baumeister took his victims. Many bones were found in the woods just behind the home. Kopari: www.koparibeauty.com/ONCE to order Kopari aluminum-free coconut deodorant and save $5 off your first order when you subscribe. BetterHelp: www.BetterHelp.com/ONCE to try BetterHelp free for one week. Le Mystere: www.lemystere.com/gift and use promo code ONCE to receive a free Le Mystere cosmetic bag with your purchase. A woman finds a finger in a fast food item. An investigation is launched and a crime will be uncovered. Le Mystere - www.lemystere.com - For a free cosmetic bag with your order go to www.lemystere.com/gift and enter promo code ONCE at checkout. Simple Contacts - www.simplecontacts.com/onceupon20 or enter ONCEUPON20 at checkout for $20 off your first order. San Jose Listener Meetup - Saturday, October 13th. Click for details and to RSVP.